Chef Jonathan Alvarado Jiménez recently made a special appearance in Houston to promote Puebla with traditional dishes from the City of Angels, such as Puebla’s famous mole poblano. 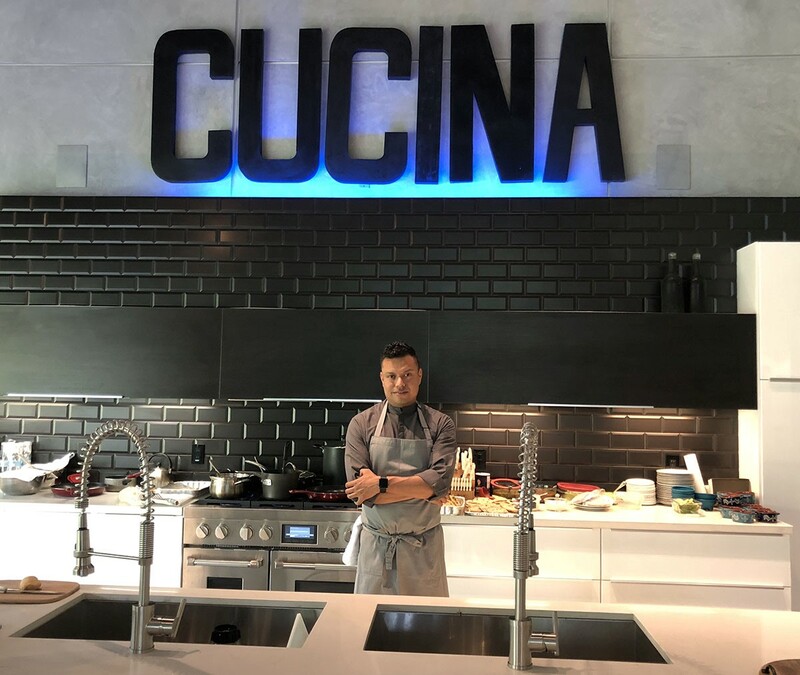 Chef Jonathan Alvarado Jiménez recently made a special appearance in Houston to promote Puebla, a magical city lined with colorful Baroque architecture and angel-studded churches against a backdrop of clear blue skies. The city’s historic center has been maintained so immaculately since 1531 that UNESCO declared it a World Heritage Site in 1987. Here, the 40-year-old Jiménez has carved a name for himself, overseeing the kitchens of Pasquinel Bistrot, Cafe Azul Talavera and Los Lavaderos Bar at the Rosewood Puebla Hotel. Chef Jonathan Alvarado Jiménez demonstrates how to make mole with shredded chicken. On Thursday night, he cooked for Houstonians in a private home in the Memorial area, sharing traditional dishes from the City of Angels. Among them Puebla’s famous mole poblano. We confessed, after sampling moles across Mexico and Puebla, Jiménez’s version is among the tastiest, effortlessly balancing sweet and salty with a hint of smokiness that gracefully unfolds on the palate rather than hitting you over the head like a hammer (which often is the case). “My recipe has about 36 ingredients. 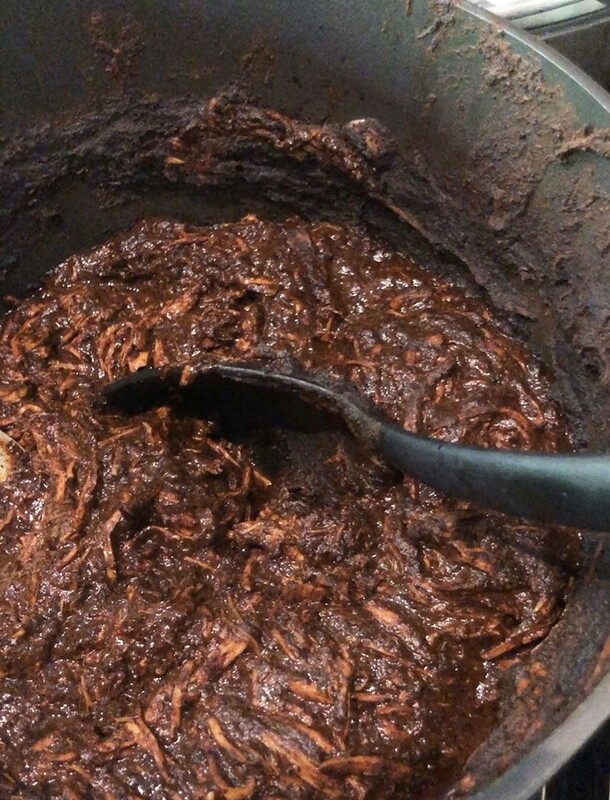 It takes about two days to make this complex sauce,” said the chef, who completed the sauce ahead of time in Mexico for this occasion since mole poblano requires multiple steps. Now family traditions dictate recipes, which are passed from mothers to daughter. Mole means “sauce,” and poblano refers to the mellow chile that originated in Puebla. There are many legends of its origin. While visiting Puebla years ago, we were told that the nuns from Convent of Santa Rosa created the mole for a visiting archbishop sometime in the 16th century. But back then this beloved sauce was served over turkey, not chicken like it is today. Another hit with the crowd was Jiménez’s tinga poblana served over sopes, tostadas, corn tortillas and even, over white rice. It can be made with shredded chicken or pork. But in this recipe, it is made with shredded beef. 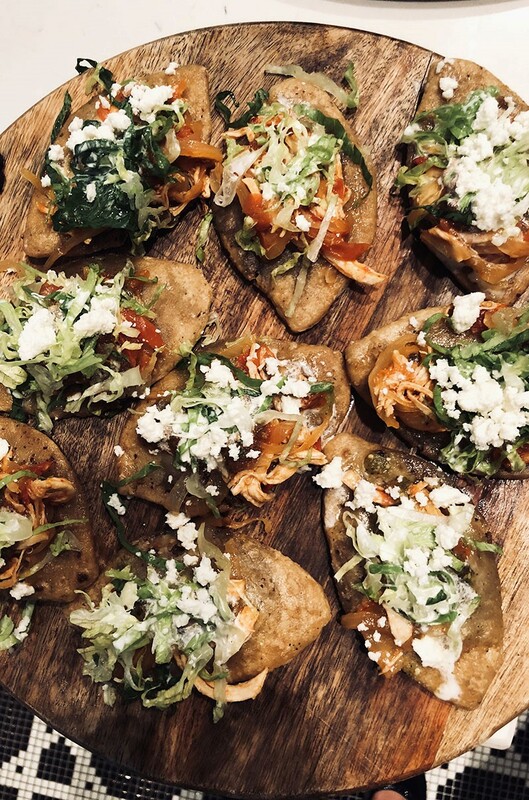 See the tinga poblana recipe to get a little taste of Puebla.